I've not posted in this thread for a while. As it's winter I decided to do a bit of maintenance on the YB10. 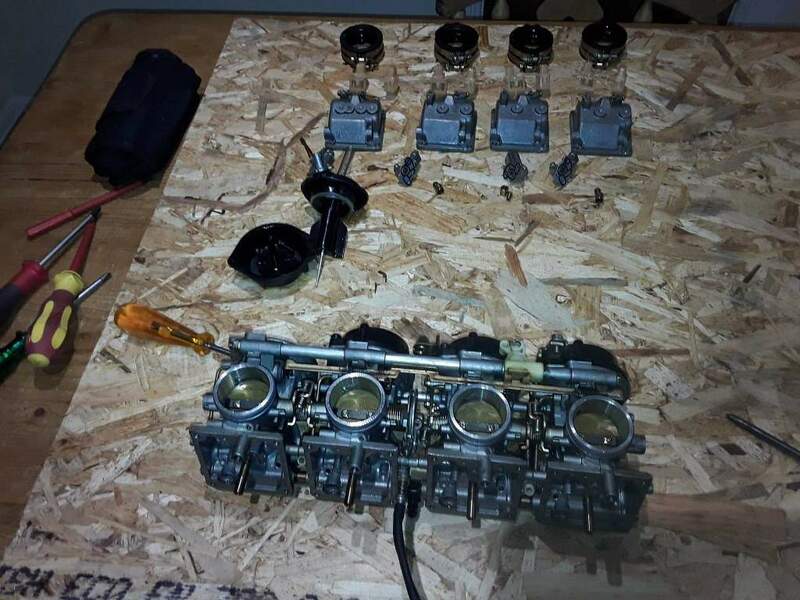 Stripped the carbs and gave them an ultrasonic clean. 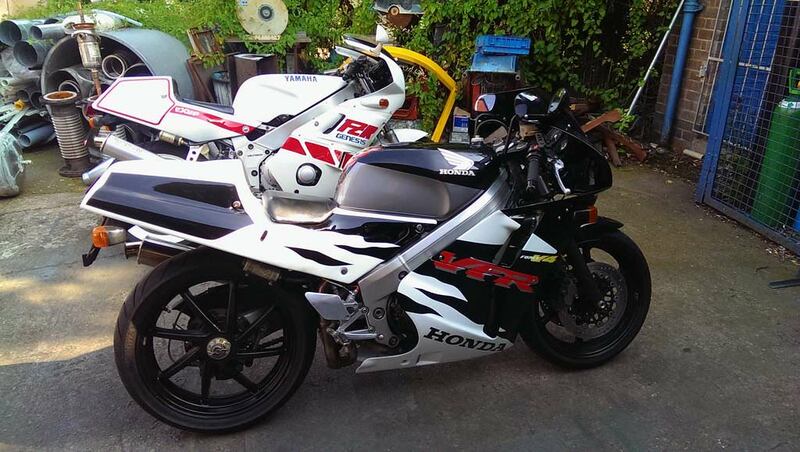 I'm also going to do an oil and filter change while the fairings are off. The mirrors are also going to get treated to a new coat of paint. The MV F3 and Aprilia have been the bikes I've ridden more over the last year, and have run faultlessly. The little VFR has also done a few trips out. I plan on getting the YB8 out more next year and maybe my little YB7. 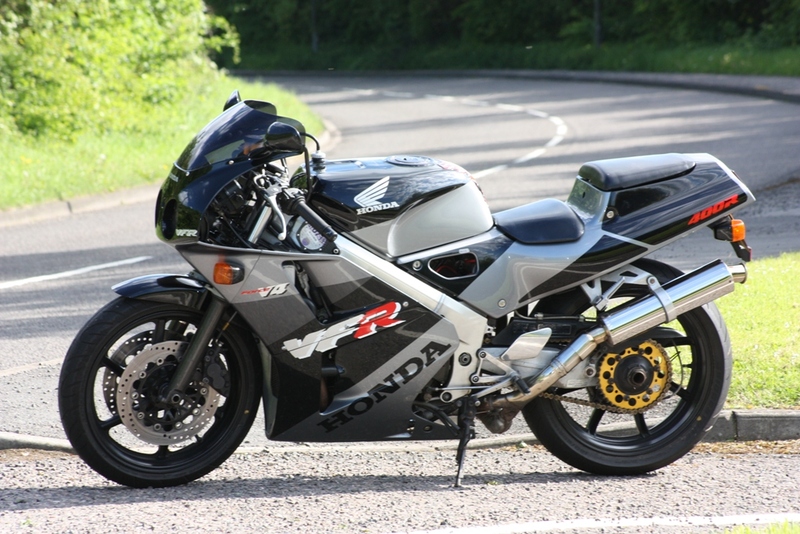 My FZR400 hasn't done any miles for quite a while now so an overhaul will be needed, hopefully over this winter. I've started and run up to temperature all the bikes apart from the FZR. 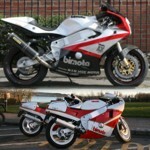 I've put chinese fairings on the honda and packed away the originals. 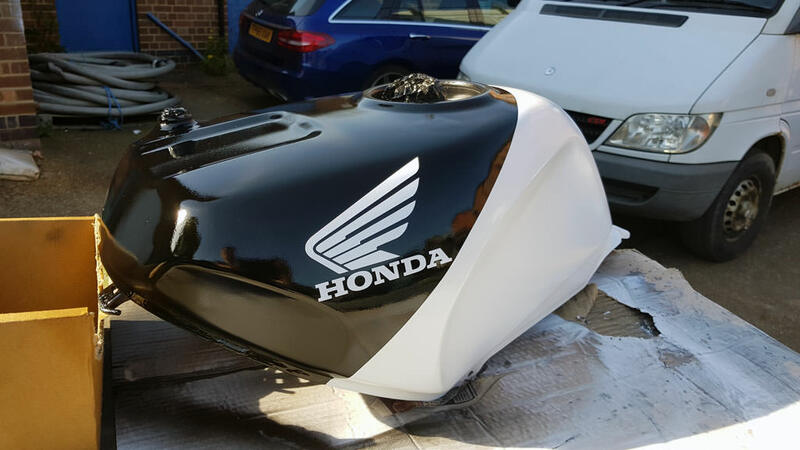 I got hold of a second hand tank and sprayed it to suit the new fairings. 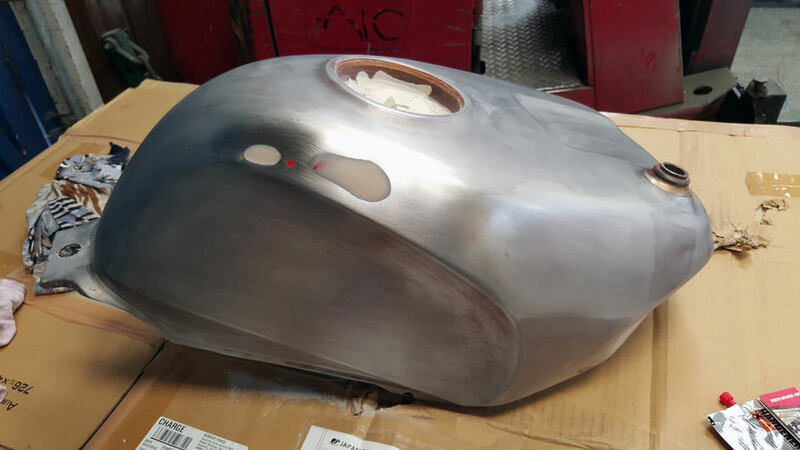 It's had a few extra coats of clear coat and polished since the 'in progress' photos. That's about it for the little update. I've not posted in this thread for a while. I plan on getting the YB8 out more next year and maybe my little YB7. Its OK lammie , you know what they say , ' absence makes the heart grow founder ' and at least the Mv and Aprillia are Italian !! We'll let you off ! !